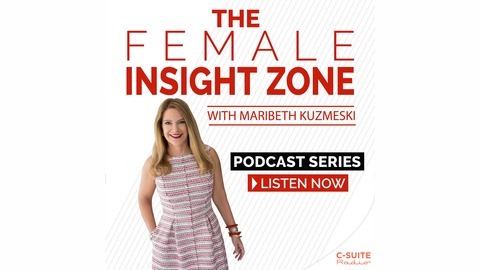 The Female Insight Zone is a 30-minute podcast sharing insights from women who have made an indelible mark in business and the path they took to soar. In each episode, host Maribeth Kuzmeski interviews an inspiring female business leader to reveal insights into successes, challenges, and how they have overcome... and won. 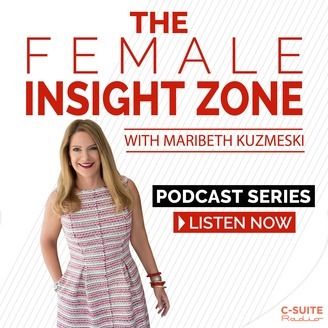 Host: Maribeth Kuzmeski, founder of Red Zone Marketing, is a business development strategist, advisor to some of the largest financial services companies, bestselling author of seven books, and international keynote speaker. She has been featured in USA Today, The New York Times, FoxNews, ABC News, and The Wall Street Journal. Passionate about increasing the success of women in business, Maribeth and her firm conduct extensive research into workforce performance issues resulting in new solutions for attracting, retaining, and developing high performing females. Producer: Transource Media.